It has been way too long and so much has happened since my last posting almost 1 1/2 years ago. It seems like Twitter, Facebook and Yammer have taken over my voice and got the bulk of my attention. So, I’m going to put this up and see if I can work my way back into the grove. Say hello to Sway! Sway is an entirely different way to express yourself and bring your ideas to life. When your ideas are born, you want to explore, visualize and share them—quickly and easily, wherever you happen to be, and on whatever device you have. You want your ideas to be understood. Sway helps you do just that. It’s a new way for you to create a beautiful, interactive, web-based expression of your ideas, from your phone or browser. It is easy to share your creation and it looks great on any screen. Your ideas have no borders, edges, page breaks, cells or slides. Your mind is a continuous canvas, and Sway brings this canvas to life. Sway helps you focus on the human part: your ideas and how they relate to each other. Sway takes care of the design work—a Sway is ready to share with the world as soon as it is born. I have put this together to help schools set up their Partners in Learning School Research (PILSR) survey. 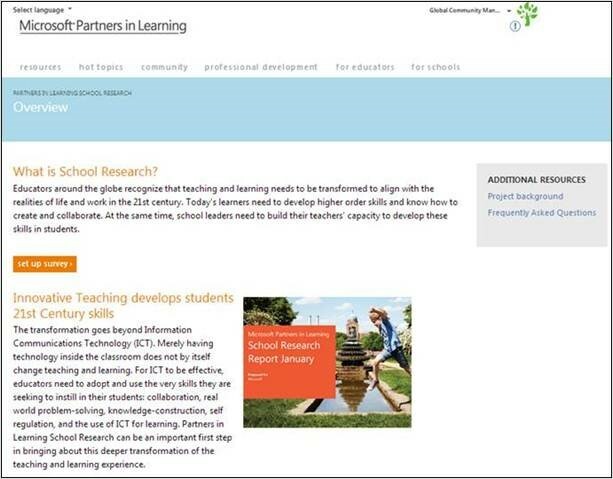 I’m happy to say that the Microsoft Partners in Learning School Research has been re-launched as part of the Partners in Learning Network. This has been an invaluable tool for those schools that have done the survey in the past. Sign up your school on the Partners in Learning (PiLs) Network and get all of your teachers to register on this valuable website. Through the Microsoft PiLs Network provides professional development to government policymakers, school leaders, and educators around the world to take new approaches to teaching and learning, using technology to help students develop 21st century skills. 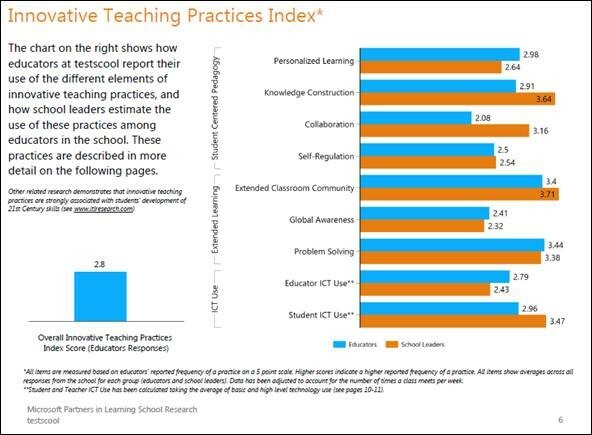 Supporting the latest research into learning design through programs such as Innovative Teaching and Learning Research and the Assessment and Teaching of 21st Century Skills, we are connecting cutting-edge thinking with classroom practice. 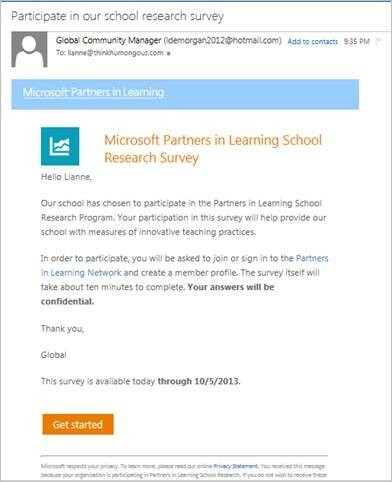 What is Microsoft Partners in Learning School Research (PILSR)? PILSR provides individual schools with an online research tool to measure their own innovative teaching practices that develop the skills students need for life and work today. Based on globally-recognized research, the PILSR research tool is international in scope, enables school-specific measurement of innovative teaching, and provides a common language to drive community dialogue and systemic change – all at no cost to schools. A sample report is attached. What’s changed from the older version that was separate from PILN? What are the benefits of the online research tool? Complimentary. 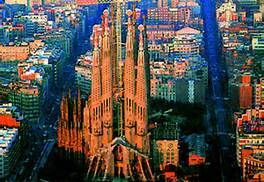 Available at no cost to primary and secondary schools worldwide. Easy/Accessible. Available online and easy to administer. Set up, distribute surveys, and receive data easily and with minimal time commitment. Measurable. School-specific measurement and a path to innovation. Research data provides factual, school-specific information to empower leaders to make educated, data-driven decisions. Personalized. Provides school-specific results based on each individual school’s own environment. How does the research tool work? Easy Distribution: PILN sends emails that contains survey links, call-to-actions, and deadlines. 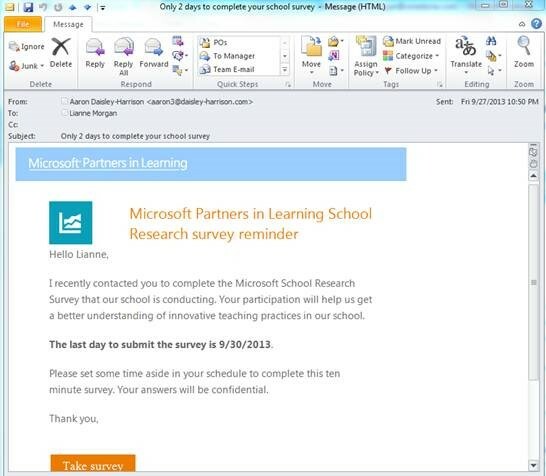 PILN enables research leaders to see who has and has not taken the surveys and sends reminder emails to complete surveys. educator and school leader responses. Below are a few examples of PILSR results. One page from the sample report which is attached. So you say you’re not excited about applying for Microsoft Expert Educator or Mentor School Status. Well, here are a couple of reasons that might change your mind. 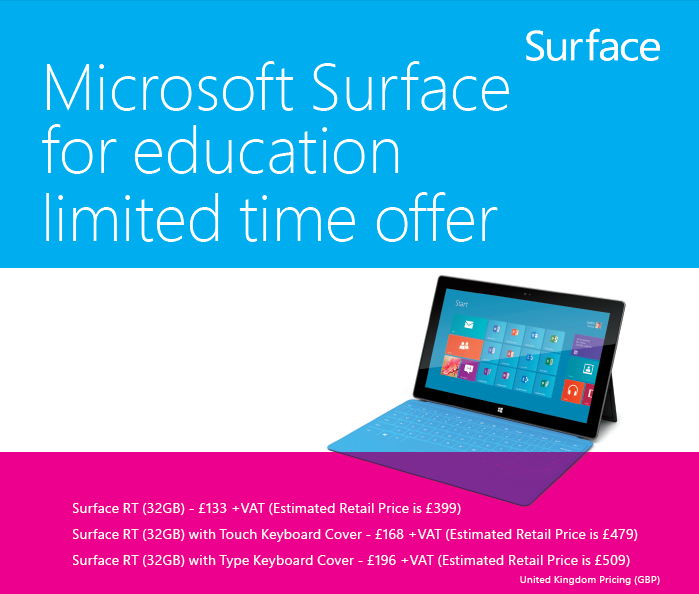 Make sure you let your Microsoft contact in Education (me for NI 🙂 ) if you want to order the Microsoft Surface RT Windows 8 tablet for your school. Time is running out on the fantastic offer for an amazing device.